The quarterfinal staged between Australia and Pakistan at Adelaide Oval saw one man rising, above all, to produce best spells of fast bowling of all time. In Hindi Terminology the term is coined as “Folaad ki Aulaad” as such was the menace and exceptional performance exhibited by Wahab Riaz. After a timid display of batting by Pakistan on a flat surface, the bowlers had to come out all guns blazing. The sledge made by Mitchell Starc stirred something inside Wahab Riaz which brought the best out of him witnessed in the game. The bowlers like Ehsan Adil and Sohail Khan did bowl good spells but then came the real contest that became reminiscent of what vengeance is like in the game of cricket. 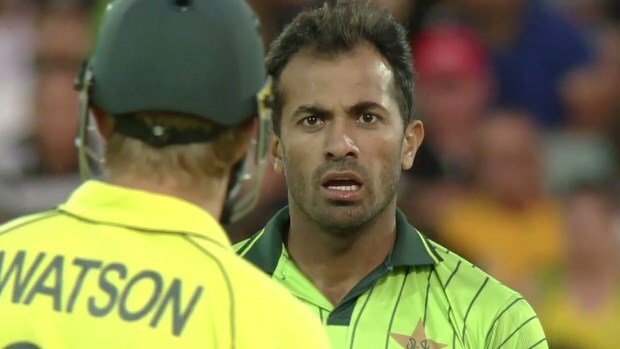 Wahab Riaz for once resembled prime protagonist from the film “Agneepath” known as Vijay Deenanath Chauhan, the man out to seek revenge and retribution for all the sufferings at the hands of the Aussies. The whole body language shown by the bowler that he wanted to win the game all by himself quite similar to what was Vijay Deenanath Chauhan quest for Mandwa from the hands of Kaancha Cheena. His was glaring at the Kangaroos and ready to take the situation by the scruff of the neck and do it all by himself. He was bowler out on a mission to destroy and decapitate every batsman in the Australian Lineup. It was Wahab versus the Eleven Kaancha’s in the team as the first one Warner wicket fell to a catch at the third man boundary. After that Captain Michael Clarke arrived at the crease to face some chin music and play real quality fast bowling. Wahab Riaz unsettled the skipper from the word go as he gloved a searing bouncer to short leg. Shane Watson was in a wretched form of his life. 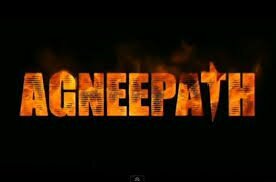 The contest between Shane Watson and Wahab Riaz was quite similar to the war of vengeance waged between Vijay Deenanath and Kaancha Cheena in the movie “Agneepath”. The whole spell saw Watson moving around and in complete disarray as Wahab Riaz had turned the heat on the Australians. The Agneepath inside Wahab Riaz was evident as he exhibited terrific spell ever witnessed in a World Cup of all times. Wahab Riaz wanted one thing Mandwa i.e. victory from the grasp of the antagonist Kaancha i.e. Australian side. During the World Cup, Wahab Riaz found his mongrel and aggression and ability to lead the Pakistan pace attack. He turned out to be quite a revelation in the tournament. For Pakistan, it will be great if he executes these kinds of performances on a more consistent basis. For whatever reason, Wahab Riaz’s spell in Adelaide will be remembered in the folklore of cricket.